In the summer of 2017, the film Wonder Woman made box office waves around the world. It debuted at No.1 in many of the countries it was screened, raked in revenue far exceeding (industry) expectations for a female led superhero movie, and made Patty Jenkins a hero herself by breaking the glass ceiling for female directors. While her achievement was celebrated, it nonetheless highlighted a pressing social concern. The gender divide has increasingly been recognized as a problem affecting societal interaction in a multitude of arenas. Stereotypes abound for what roles men and women should play – it also dictates how they should or should not act under certain circumstances. 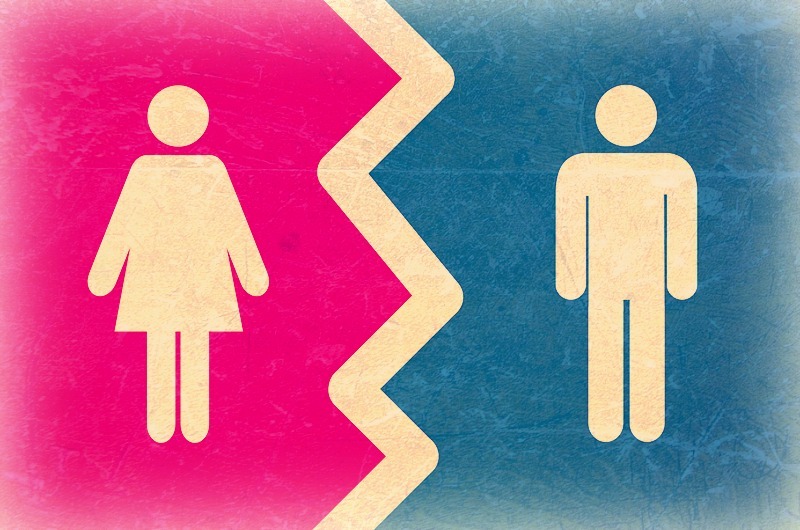 A gender divide regarding suicide exists too, with the tables turned on men. 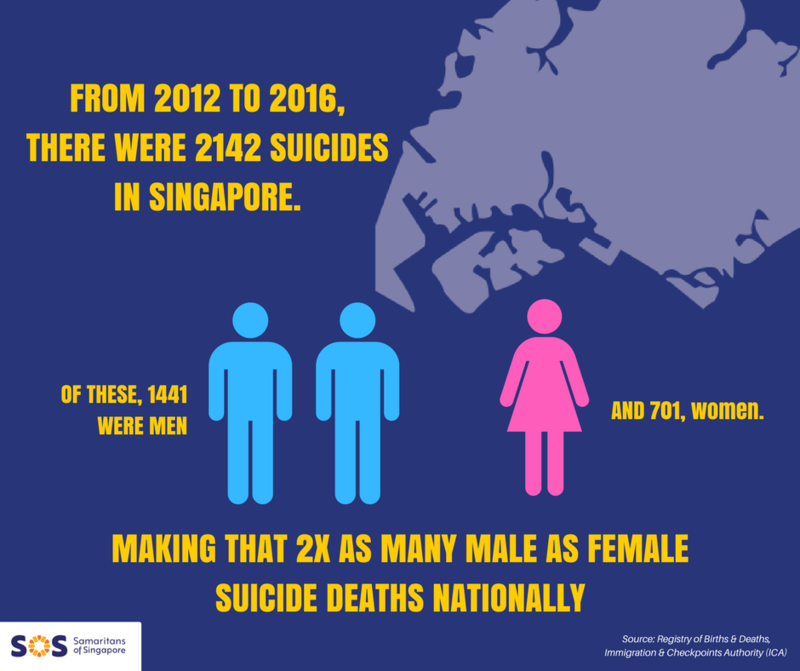 Since 2010, the ratio of male to female suicide deaths in Singapore stands at approximately 2:1. Nationally, twice as many males than females die by suicide on average. This is in line with the trend for many developed countries, where consistently more males than females die by suicide. Interestingly, it is believed that significantly more women than men attempt suicide. This is known as the gender paradox in suicide. The attribution of this trend is tied to two key factors. First, it is noted that men tend to choose more violent methods of suicide than women. Such methods include suicide by firearms, jumping, and hanging, all of which are decidedly non-reversible. With one action, the process of suicide is put in motion with little chance of recall. In the instance of other methods of suicide, such as poisoning or an overdose, emergency medical help can be activated and appropriate measures to enhance survival rates have a chance to be administered. That said, it’s important to note that no method of suicide is painless, easy, or without dire consequences. The second commonly cited reason why more men than women die by suicide has to do with attitudes to coping and help-seeking behavior. There is a growing body of research which suggests that men are less likely to seek help than women. This is also supported through client services data at SOS, where there are consistently more female than male users. 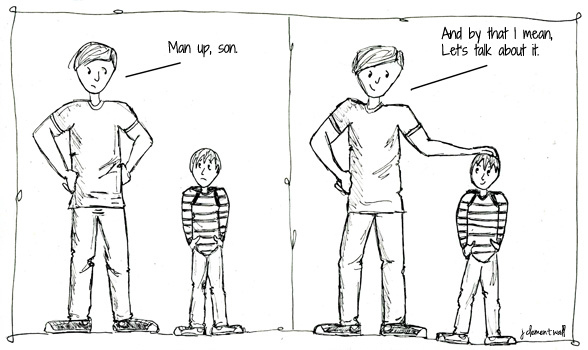 Men tend to compare themselves to a masculine standard which emphasizes greater levels of tolerance and independence. They may feel a continuous or greater pressure to solve issues faced on their own and suppress feelings of distress. Help-seeking is then often associated to a loss of status, damage to identity, dependence, loss of autonomy, and incompetence – all of which are in opposition to the socially constructed male standard. This creates an unhealthy and unnecessary ‘man up or shut up’ type of mentality. They may want to reach out for help at some point but because this method of expressing themselves is not what they are accustomed to, they may not know how to when it really counts. Whether it is culturally or intra-personally imposed, the message men seem to have internalized is that they cannot and must not talk about issues that affect them negatively or emotionally. And if they go one step further – to actually ask for help, then it seems like they’ve crossed the line and gone against everything that “being a man” means to society and themselves.